As mentioned before, I'm closing my Facebook page, but I'll be still on Facebook, and if you'd like to follow, you can do it HERE... please do! 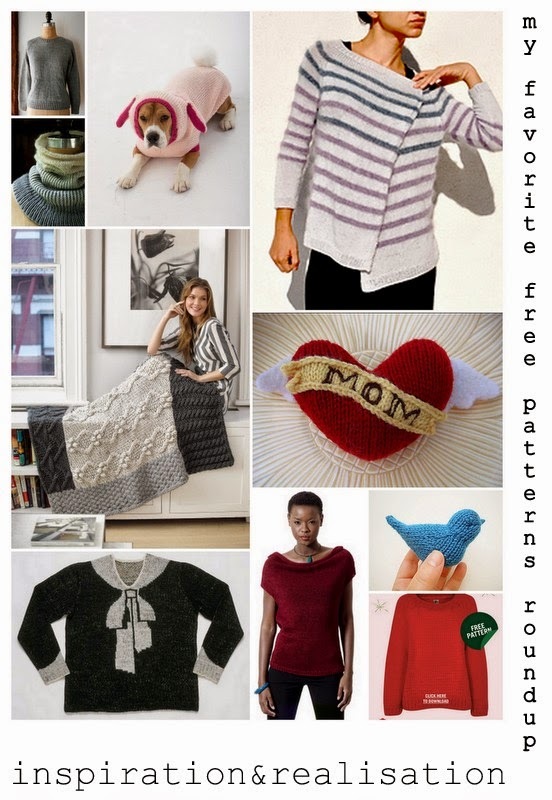 Today's roundup is about free knitting patterns that I shared over time. There are tons of knitting patterns out there, but these are actually saved on my downloads and printed, because I really really like them. ... don't skip this last one! it's Elsa Schiapparelli's famous bow knot sweater!! So check them out and add them to your to-do-list!